Jo-Ann believes in the power of mentoring, having seen so many transformative youth adult relationships during her two decades at MENTOR Rhode Island. And she’s not just the CEO, she’s also a dedicated mentor! Jo-Ann earned her Certificate in Non-profit Studies from RIC when she transitioned to a leadership role. She has had the opportunity to volunteer in numerous roles in the local community as well as lending her voice, to the national mentoring conversation. She is happiest spending time with her two adult daughters, on the beach in the summer or by a cozy fire with her spouse and 2 dogs in the colder months. And even though she firmly believes that processed sugar is poison, she’s been known to indulge in an occasional chocolate éclair from Gregg’s. 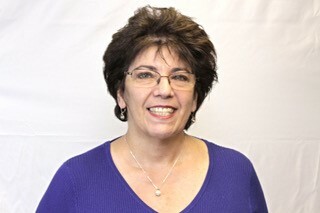 Susan Thomas is the Director of Training & Program Development for MENTOR Rhode Island. 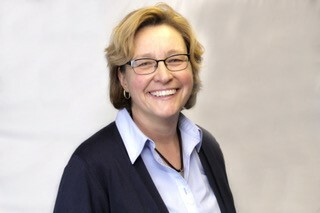 Susan has 16 years’experience in the mentoring field and is excited to be part of the organization’s vision of delivering a mentor to each child who needs one.As the Partnership’s Director of Training and Program Development, Sue is responsible for supporting network partners by providing program planning, modeling initial mentor training and recruitment calls, and hosting a number of topical trainings as well as advanced workshops. 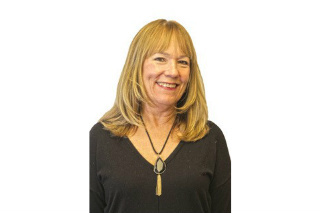 Sue has been involved in the teaching and training field for 31 years. She possesses a Bachelor of Arts in English, Secondary Education from Rhode Island College. Throughout the course of her career she has worked with students, ages six to eighty-two. Her teaching philosophy is simple: treat students with respect, make the learning environment safe and comfortable, know your stuff, and inject humor wherever possible. Her driving principles are: family, faith, friendship, and laughter. Pamela’s love of children, and a playful nature, inspired her to become a mentor during her 21-year employment with MetLife. After a company-wide consolidation, she took advantage of the opportunity to explore a career path that focused more on her true calling, working with children. She shares her passion for mentoring with everyone she encounters, especially while recruiting and training new mentors, and supporting them as they embark on their mentoring relationships. Transitioning from a position in the corporate world to a non-profit organization was a perfect fit since it allows the chance to channel her vision and creativity throughout so many aspects of her job. She remains as enthusiastic and dedicated to the mission today as she was on her first day, a mere 18 years ago. She devotes much of her free time caring for her elderly mom and sister, affectionately calling them her “Golden Girls”. The new love of her life is a West Highland Terrier, a very incorrigible prankster, Sparky. Native Californian and Air Force brat, Nichole Lewis started with the MENTOR Rhode Island in 2009 as an AmeriCorps Vista and program assistant. She has a passion for community service, youth empowerment, and all things pink and sparkly. Having worked in the non-profit sector since 1991, Nichole has acquired extensive experience and an amalgam of skills perfect for coordinating mentor programs. 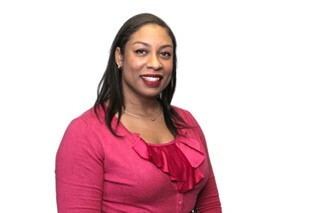 Nichole studied elementary, middle school, and secondary education, as well as biology and chemistry at RI College. After definitively coming to the realization that she did not want to be a teacher, she found that MENTOR Rhode Island was the perfect place to continue bringing communities together through youth support. Nichole and her two children are proud Bristolians, Legend of Zelda enthusiasts, and believers in the Oxford Comma. Christopher has always had an interest in empowering youth. While he was earning his Master’s in Education from Rhode Island College he worked for Rhode Island Youth Theatre where he was the Director of Education and a mentor to two high school students. Now, channeling his passion for children and mentoring, he is happy to be responsible for recruiting mentors for hundreds of children throughout Rhode Island. Being a mentor himself, he understands the vast power a mentor can have on a child. 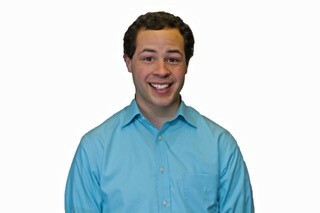 When Christopher is not traveling around the state recruiting mentors, he is usually singing and dancing around the office, or on a stage at a local community theatre. He loves going out to eat and napping whenever the time permits. After a career in the news media, Marc landed with MENTOR Rhode Island in 2009, eager for a chance to see people at their best, as mentors, helping and supporting others; rather than at their worst, as the subject of another tragic news story. 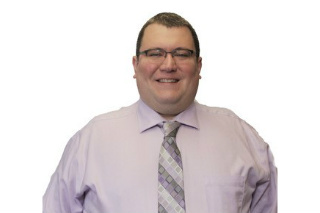 Marc is a graduate of Emerson College and uses his communications skills to help spread the word about mentoring, and his chameleon-like adaptability to support MENTOR Rhode Island’s leadership and staff with any issues or jobs that may arise. He takes pride in being the guy others turn to when they need help. Marc is an avid hockey fan, what some would call a rink rat. He plays, refs, & still uses his broadcasting voice as the public address announcer for his high school alma mater’s hockey team. Marc is a transplanted country-boy from the Quiet Corner of northeastern Connecticut. He currently lives in North Providence with his wife and daughter. 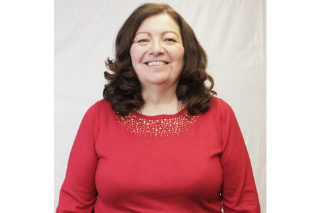 Cathy was a mentor for over 10 years with MENTOR Rhode Island, so it just made sense that upon retiring from a 32-year career with the Department of Human Services, Office of Child Support Services, she took a part-time position supporting the team. She is very passionate about the program and has seen first-hand the rewards of mentoring, having had the same mentee from first grade, through middle school, graduate high school and go on to college. She continues to mentor today. In her spare time, she enjoys going to the gym, golfing and traveling. 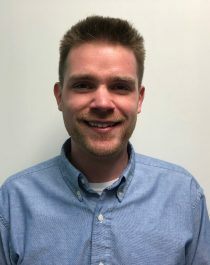 Gus was hired as the Coordinator of the ‘Let’s Make This Work’ program in March of 2019. He discovered his passion for supporting teenagers and young adults during his years of AmeriCorps service in Boston, MA and Kingston, RI. In his current role, Gus is responsible for the implementation and oversight of an employment training program for 18 to 24 year-olds in conjunction with the Institute for the Study and Practice of Nonviolence. Gus is a huge New York Giants fan who dedicates his Sundays to football. He is also in the process of collecting every Nintendo 64 game ever produced! He lives in Cranston with his girlfriend and their cat, Rainey.